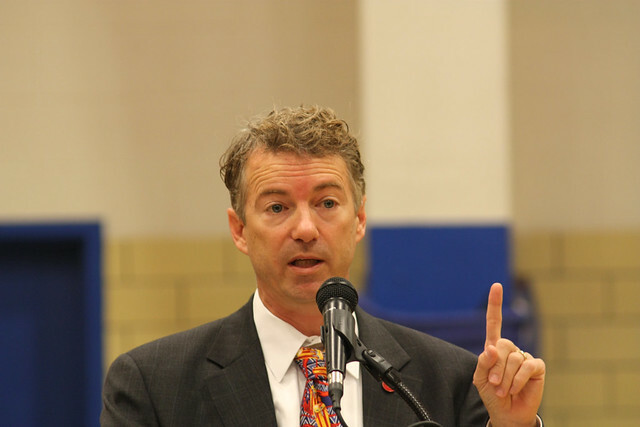 Paul said he’s been chatting with several people from Kentucky about laying down a communications blueprint to keep the grassroots Tea Partiers nationwide in touch with their newly elected senators and representatives about what’s going on inside the Beltway. Paul told The Daily Caller he plans to start by forming a “nucleus” of conservative senators and then reach out to colleagues in the House. Paul said he got the idea from talking with Kentucky Tea Partiers, adding that the activists tell him they want to keep fighting, even though there isn’t another election until 2012. Paul said he’d expect such a caucus to “make legislators better people and better legislators but, also, it would just give them a guidepost to work from.” He stressed that fiscal responsibility and balanced budgets would be a major focus of his Tea Party Caucus. Michelle Bachmann, Ron Paul, Mike Pence, John Carter, Pete Sessions, John Culberson, Steve King, Dan Burton, Paul Broun, and Cliff Stearns. Renee Ellmers, Kristi Noem, Vicky Hartzler, Allen West, Christopher Gibson, Dan Benishek, Tim Scott, Bobby Schilling, Marlin Stutzman, Mick Mulvaney, Scott DesJarlais, Tom Graves, Joe Heck, Rick Crawford, Tim Griffin, Paul Gosar, David Schweikert, Steve Southerland, Sandra Adams, Raul Labrador, Robert Dold, Adam Kinzinger, Randy Hultgren, Todd Young, Jeff Landry, Justin Amash, Tim Walberg, Frank Guinta, Michael Grimm, Steve Chabot, Bill Johnson, Steven Stivers, Jim Renacci, Jeff Duncan, Trey Gowdy, Bill Flores, H. Morgan Griffith, Sean Duffy, Reid Ribble, David McKinley, Scott Tipton, John Runyan, Dennis Ross, Tim Huelskamp, Mo Brooks and Alan Nunnelee. From Senate: Jim Inhofe. House: if he wins, David Harmer from CA CD-11. I think it would be great if the caucus included potential tea party supported congressional candidates for 2012. Being that many of them will have no prior government experience, allowing them to be involved in the caucus over the next couple of years would give them some depth to their resumes. Hm, I see that Inhofe is opposed to the earmark moratorium. Maybe I spoke too soon... I thought he was a pretty conservative guy. Ron Johnson could be a potential addition to the Senate list. Michelle Bachmann, Mike Pence, John Carter, Pete Sessions, John Culberson, Steve King, Dan Burton, Paul Broun, and Cliff Stearns. I might as well add my "fantasy politics" idea here, while I'm at it. Who knows how to set up a fantasy football application? Perlgerl - I don't know how I missed Ron Paul, now added! Love the "fantasy politics" idea, too.